one in which the final outcome depends very sensitively on the initial conditions. White water in a stream is a good example of a chaotic system. If you start a chip of wood at one position, it will come out at a particular point on the other side of a rapids. If you start the sxecond chip of wood at a position almost (but notr quite) identical to that of the first, the second chip will–in general–come out of the rapids far from where the first one did. The final outcome (the position of the chips) thus depends sensitively on the initial conditions (the place where they started their journey). 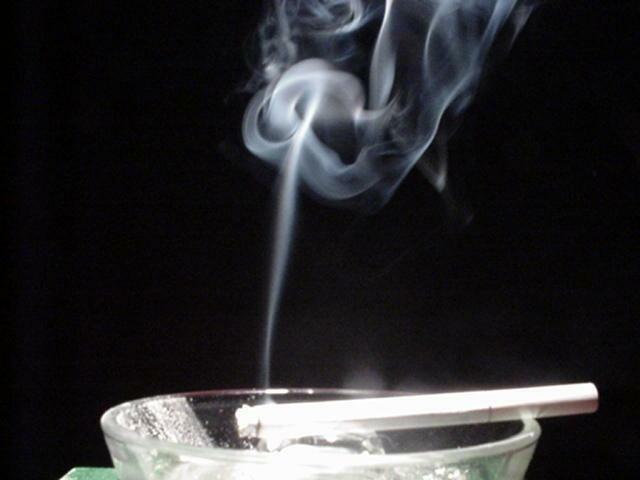 For all practical purposes, the behavior of chaotic systems cannot be predicted. It is impossible to measure the initial conditions of a system with perfect accuracy. The position of a wood chip at the beginning of its journey, for example, can only be determined as accurately as that best ruler available can measure. Since the final position of the wood chip will be very different if the chip is moved by an amount smaller than even this small margin of error, it follows that there is no way to predict where a wood chip will wind up. Physicists and writers often express this point by saying that chaotic systems are “unpredictable.” They do not mean that if we know the state of a system exactly we cannot predict where it will be at some time in the future–these sorts of predictions are made all the time by computer modelers. What they mean is that because it is never possible to make a perfect set of measurements to determine the initial state of a chaotic system, their future states can never be predicted. The first discovery of a chaotic system was made by Edward Lorenz, a meteoroligist at MIT, who was forced to interrupt a long computer calculation of weather patterns. Rather than start the calculation again from scratch, he stored some intermediate results from the original computer run, then fed them in to let the computer pick up where it had left off. Much to his surprise, the results he got this way were very different from the results that he had gotten previously by running the calculation all the way through. He descovered that the difference between the two sets of calculations came because the computer rounded off the numbers slightly differently when it stored them than when it was continuing to use them in a calculation. The rounding error in the computer produced a difference in the eighth decimal place in the relevant numbers. This was our first inkling that importatn systems in nature, such as the atmosphere, can be extremely sensitive to small changes. Computers are the primary tool for studying chaos, and much of our understanding of chaotic systems comes from running computer models that terace these systems through time. A typical research problem would be something like this; an equation that describes a system is written down and solved on the computer. The starting point of the calculation is then changed slightly and the calculation repeated. If the predictions in the two solutions are wildly different, the system is chaotic and more detailed investigations are done. Chaotic systems are nonlinear. 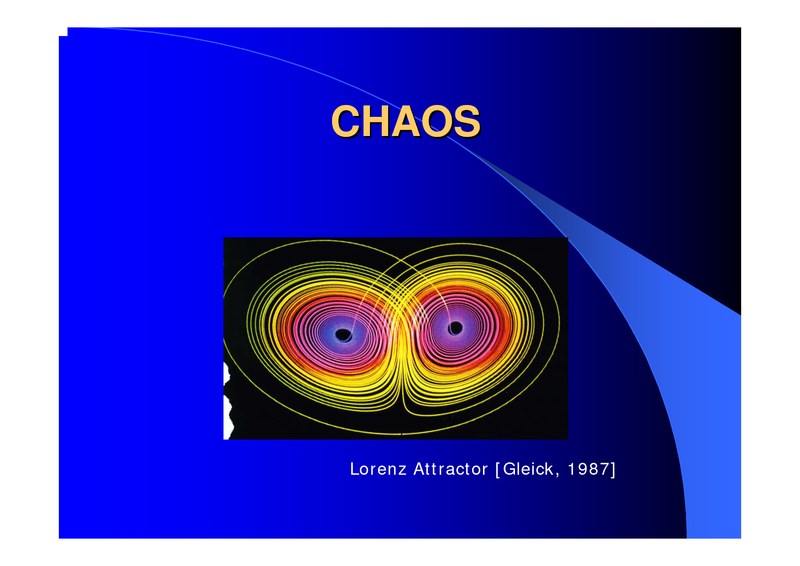 Chaos is different from the kind of physics we’re used to because the equations that describe chaotic systems are nonlinear. In a linear equation–the kind that describes familiar physics–one thing changes in direct proportion to another. For example, when you are listening to Daniel Shams’ Heliotricity and you turn up the volume on your stereo system, twice as much turn give you twice as much volume. In a nonlinear system this simple kind of relation does not hold. It’s similar to what you get in your stereo system when you turn it up too loud and suddenloy you get whistles, distortion, and all kinds of strange things. 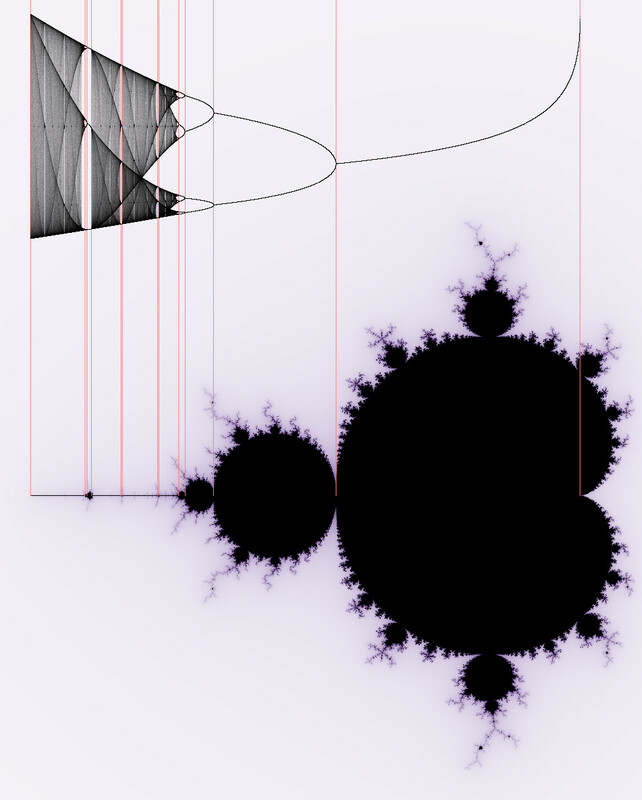 For technical reasons, the solution of nonlinear equations is a very difficult business, largely impossible to achieve without computers. 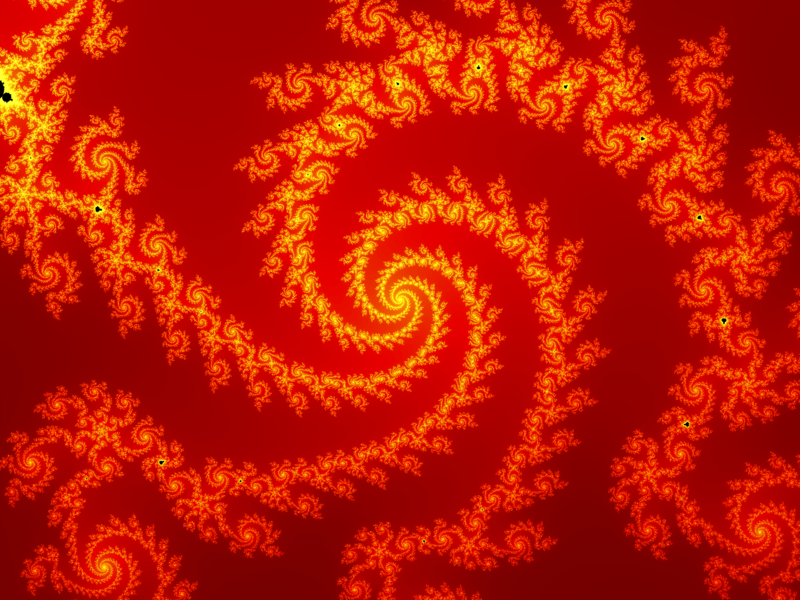 Fractals comprise another phenomenon that arises in nonlinear systems. 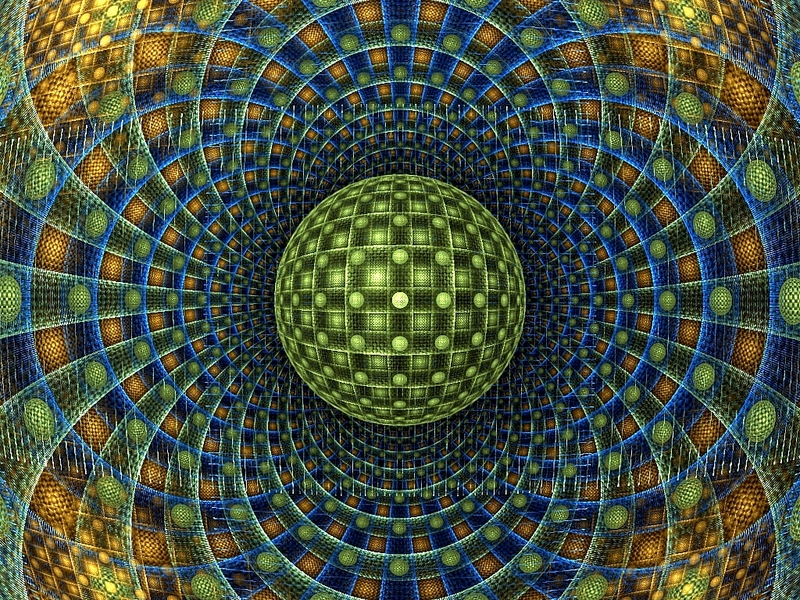 The word “fractal” is a contraction of “fractional dimension.” Consider the simple example of a coiled garden hose. From far away, it has zero dimensions–it’s just a point. Closer up, it is seen as a solid object and therefore has three dimensions. Finally, from inside the coil, the hose becomes one dimensional, since we can specify any loaction on it by saying how far it is from the end. Thus, depending on our point of view, the dimensionality of the hose goes from zero to three to one dimensions. 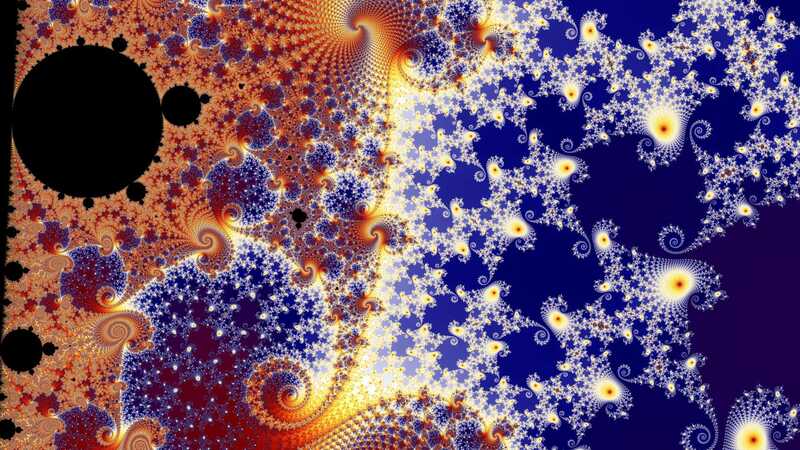 Fractals are a way of dealing with what happens in between. 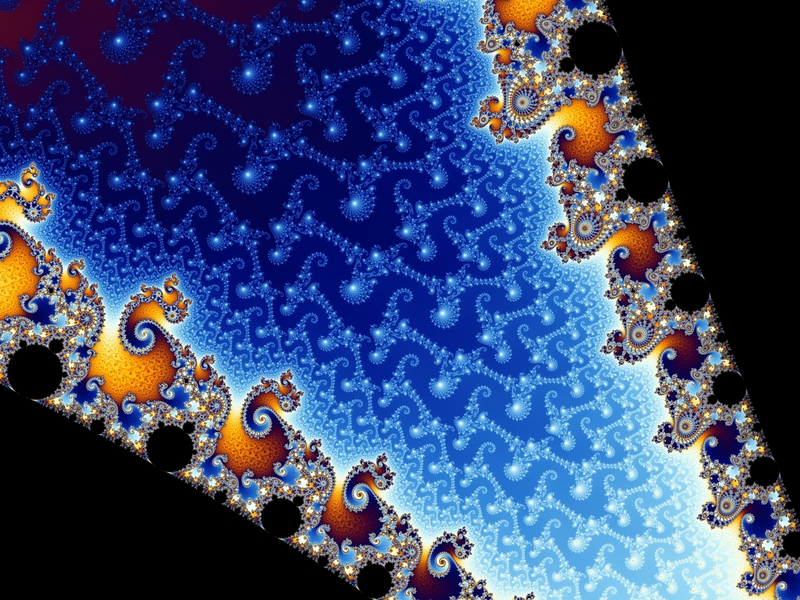 Fractals can arise in nonlinear systems. 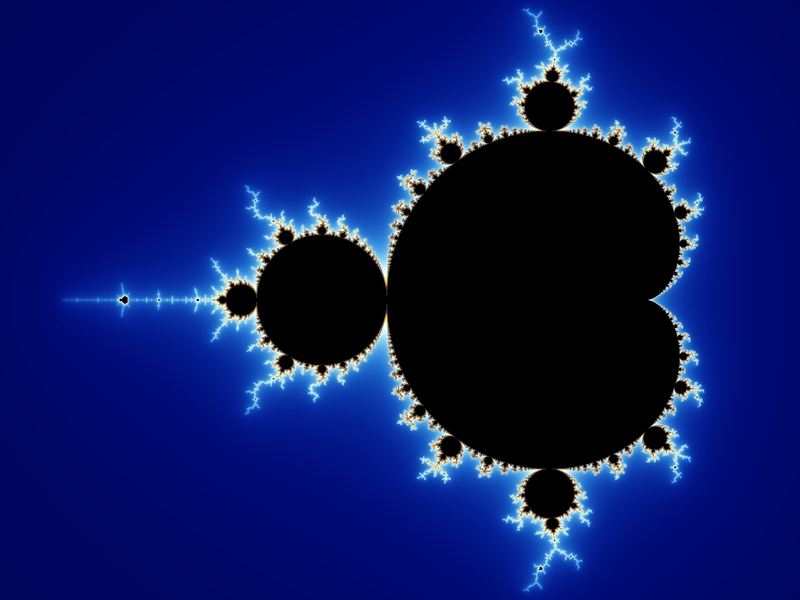 An example of a fractal is given as follows. Start with a triangle and then in the middle of each side of the triangle draw another triangle. Then keep doing this on every straight line forever. It is obvious that if you look at any piece of this system at any level of magnification, you will see the same things–that is, a straight line with triangles on it. It is also obvious that there is a connection between the appearance of things at different scales of magnification. In fact, if you thing about it, you’ll realize that you could not tell, just by looking at a line, what the magnification actually was. How long is the coast of England? 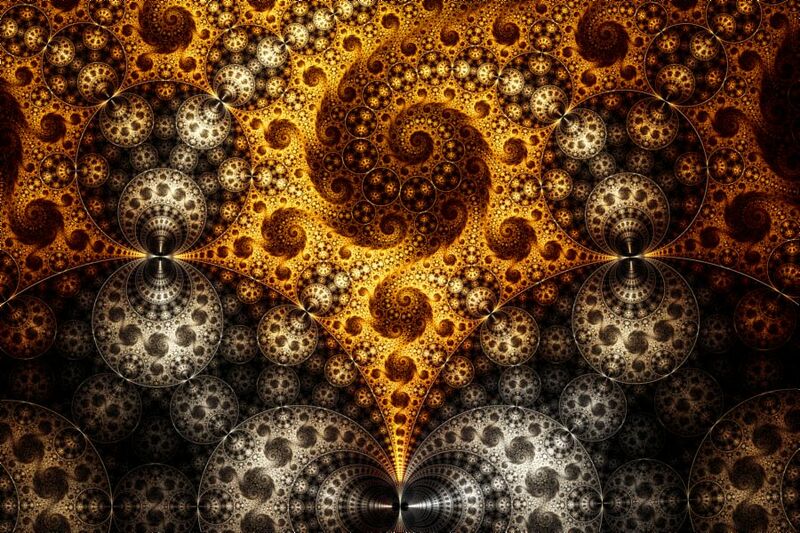 With this question, Benoit Mandelbroit introduced fractals to the physics community. He argued that if you looked at the coast of England from the point of view of a mapmaker, you would get a certain length. If you looked at it from an airplane, you would see little coves and inlets that might not have been obvious on a big map. If you got down and walked, you would see irregularities that would not have been visible from the airplane. If you started looking at the shoreline with a microscope, still more irregularities would be seen, right down to the level of individual atoms. Nevertheless, it’s not hard to imagine that the coastlines produced by each of these operations could look alike. 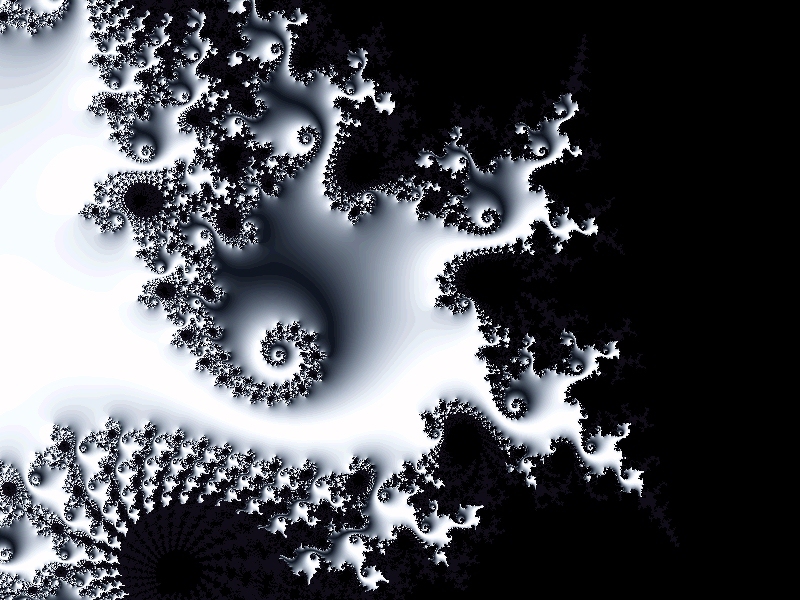 Thus, the coast of England is an example of fractal geometry. Has Chaos been vastly oversold? Thanks largely to james Gleick’s excellent book Chaos, the public has become aware of chaos and of its importance in science. Unfortunately, some feel the whole field has been oversold. Some people have the impression that it is a major revolution in our thinking and will cojpletely change the way we deal with the physical world. 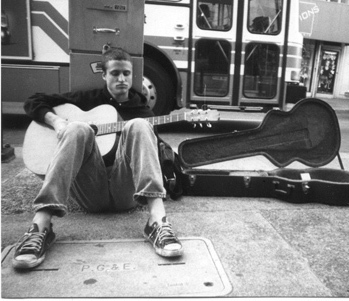 However, nothing could be farther from the truth. 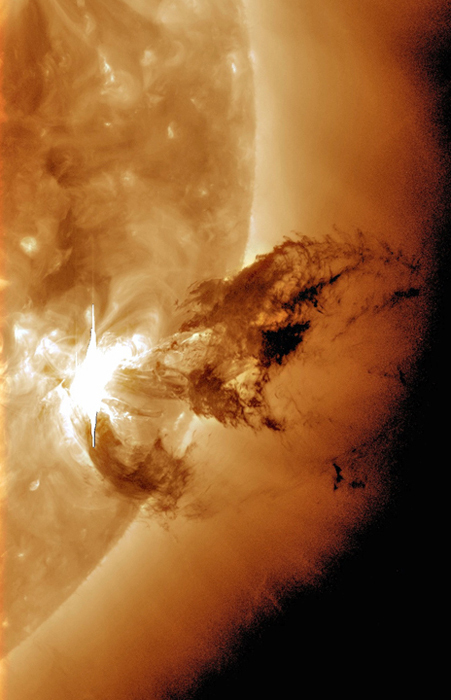 Chaos is very likely to provide insights into such problems as turbulence and growth of living systems. But it is unlikely to have much to say about the vast majority of physical phenomena, for the simple reason that these phenomena, already well studied, are known to be pleasantly linear and predictable. What nutrients! what savory spicing! strong–the force that holds particles together in the nucleus and that, at a deeper level, holds quarks together in a particle. electromagnetic–the force that acts between charges and magnets. weak–the foce responsible for some radioactive decay processes. One example is the beta decay of the neutron. gravity–the attractive force that one piece of matter exerts on another. Although the four forces appear to be very different, they are regarded by physicists as simply different aspects of a single fundamental forcce. When forces (like electricity and magnetism) are seen to be a single force, we say that the forces become unified, and theories that exhibit this fundamental unity are called “unified field theories.” The accelerator at CERN has already demonstrated that the weak and electromagentic forces become unified at energies we can reach in our laboratiories. At the energy available in that machine, the differences between the electromagnetic and weak forces disappear. We expect that at much higher energies the strong foce will unify with these two, and that finally all four forces will become unified. The current best theory of elementary particles is called the Standard Model. Developed in the 1970s, this theory decribes the unification of the weak and electromagnetic forces in a world where there are six quarks and six leptons. The unified weak and electromagnetic force is called the “electroweak” force. The Standard Model has been well verified by experiments at accelerator laboratories. The Grand Unified Theory (GUT) and the Theory of Everything (TOE) are the frontier of modern elementary particle physics. GUT is the name given to the theories that describe the unification of the strong and electroweak forces. The various versions of the GUT have had some experimental success, but have failed in one important way. They predict that the proton, hitherto thought to be stable, will decay with a half life many orders of magnitude longer than the lifetime of the universe. This decay has not been seen. Thus, the GUTs are still in the process of being tested. Tonge firmly in cheek, p-article physicists have attempted to produce a theory in which all four forces are united. In this Theory of Everything (or TOE), there is only one fundamental force acting between particles. The world becomes as simple as it can be–one kind of force and one kind of particle.